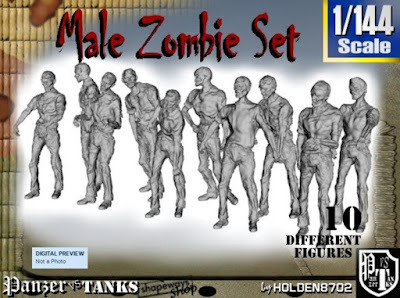 Set of 10 high detailed 1/144 Scale Multipose Male Zombie Figures. Only Frosted Ultra Detail material available. I didn't added sprues (I don't know where to place them without risk of breaking the figure when will be removed!). 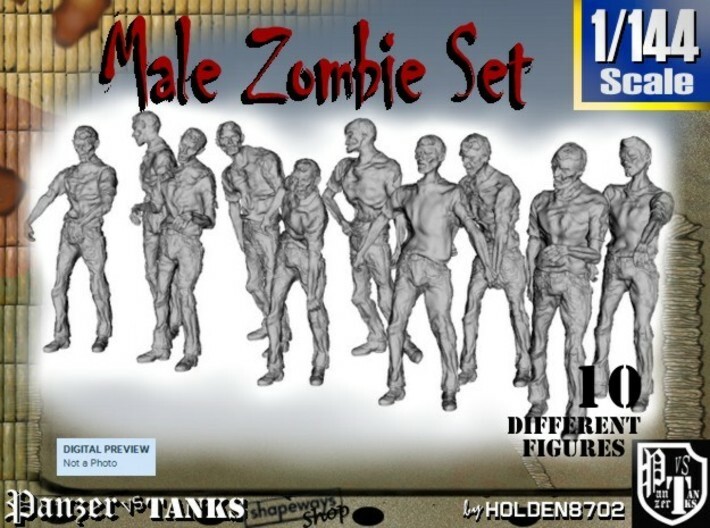 Figures 12 mm. 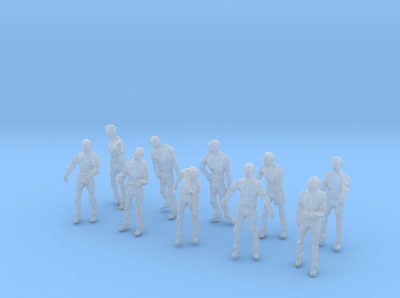 - 0.49 inches tall.